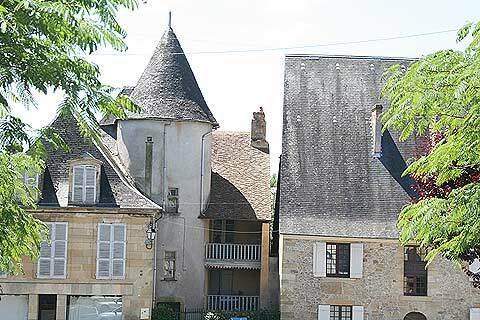 Excideuil, Dordogne - home to one of the oldest buildings in the Dordogne. 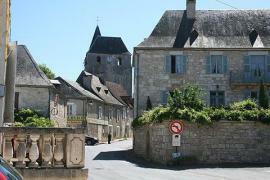 Excideuil is a charming town with an attractive town square, and a castle dating back to the 12th century. 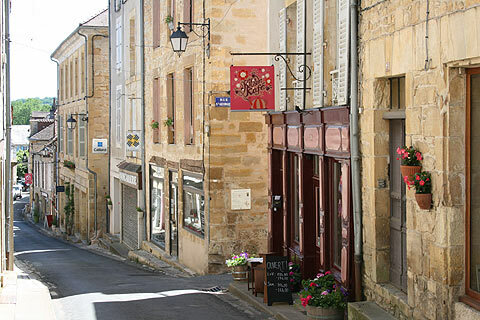 It is in the northern part of the Dordogne department, about 30 kilometres south of Jumilhac and 15 kilometres from Hautefort. 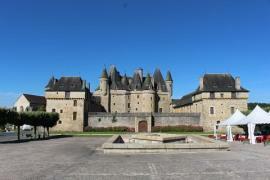 The second is the castle. 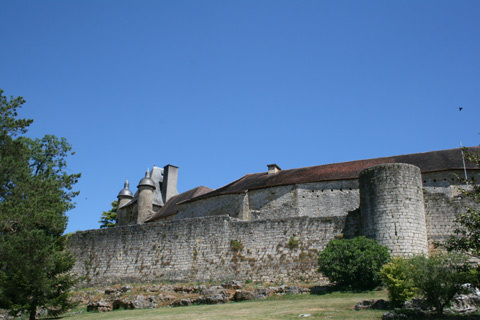 High on a rocky promontory, the castle successfully repelled Richard the Lionheart on three different occasions (note that the main castle is not open to the public). 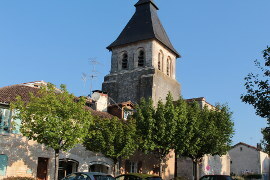 One of the oldest buildings in the Dordogne department is in Excideuil. 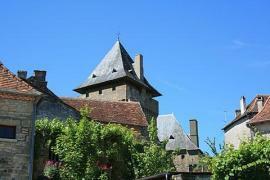 This is the Hospital and probably dates from the 12th century when the building was an convent. It can definitely be traced back to the 14th century. It is a very attractive building but unfortunately its lovely courtyard is now filled with portacabins! Walking uphill from here you get to the main town square of Excideuil and the very attractive church which is all that remains of the 10th century monastery. 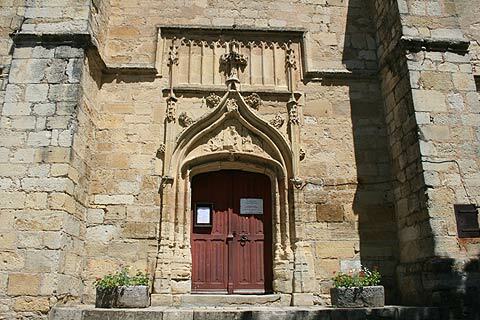 Its lovely stone doorway dates to the 15th century when quite a lot of work was carried out on the church. The town square also has a fountain and is surrounded by lovely houses. 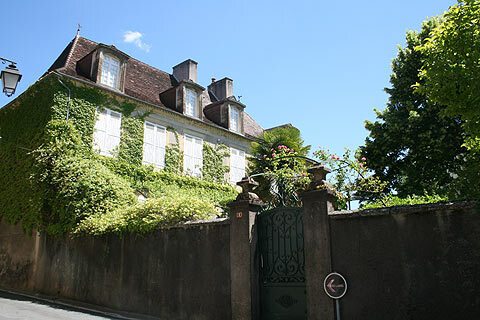 Wandering around the streets leading from the square are a large number of imposing houses dating back to a period of wealth particularly in the 17 and 18th centuries. 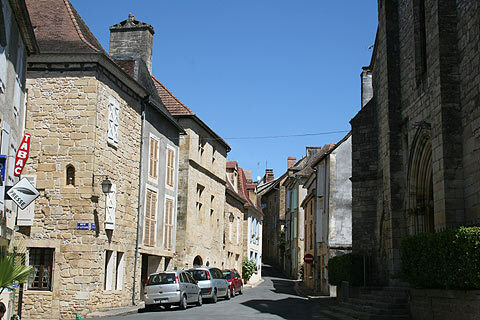 Excideuil was exempted from paying taxes in 1482 by Louis XI and this coupled with the wealthy iron mining industry in the area led to a period of prosperity. Many of the buildings have interesting architectural features and the different sizes and styles of houses and rooves makes for an attractive ensemble. There are plenty of places to stop for lunch or coffee. I can recommend the pecan cup-cakes at the Kitsch Kafé. 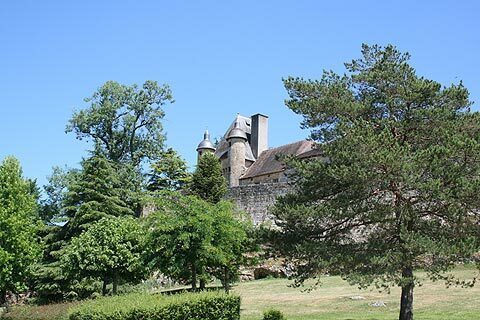 Set in the rolling green countryside, the Perigord-Limousin Natural Park is nearby. 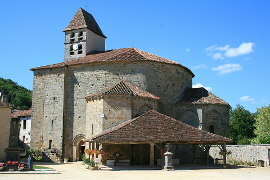 Also try and visit Tourtoirac, a village to the south of Excideuil with the remains of an attractive abbey and also some caves which have opened to the public fairly recently - in 2010. 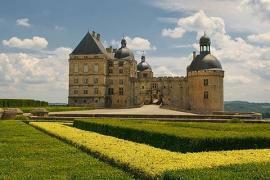 Tthe UNESCO World Heritage Chateau de Hautefort is just down the road and both the castle and its formal gardens are definitely worth visiting. 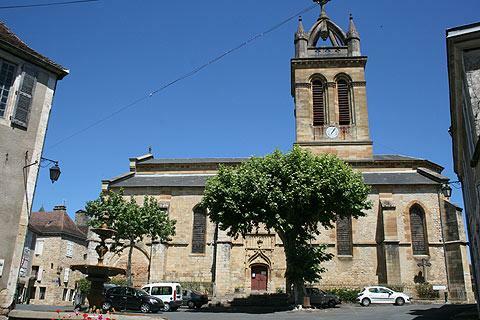 Some quieter sites that are pleasant to visit include the Roman style churches at Preyssac and Saint-Raphael, and the church and chateau at Saint-Pantaly-d'Excideuil. 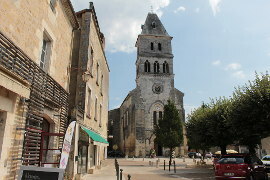 Also the pretty village at Coulaures and the little villages and chateaux of Saint-Jory-las-Bloux, Clermont-d-Excideuil and Saint-Germain-des-Pres.